The interactive map currently includes more than 800 projects on six continents. Most people don’t associate cancer with people living in developing nations, yet 60 percent of new cancer cases and 70 percent of cancer deaths occur there, according to the World Health Organization. 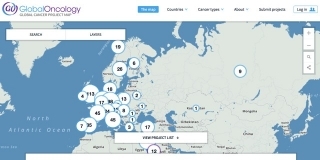 Now, the nonprofit Global Oncology Inc. has launched the Global Cancer Project Map, a first-of-its-kind resource to connect international cancer experts with one another, in an effort to advance the organization’s goal of improving cancer research and care in the developing world. The interactive map includes more than 800 projects on six continents. With a few simple clicks, users can search for cancer experts and research projects and then contact the investigators and program managers. The goal is to spur collaboration among people in the field and enable experts to share their collective knowledge. The map can be found at http://globalonc.org/projects/global-cancer-project-map. Bhatt, who directs global oncology at Stanford’s Center for Innovation in Global Health, and GO co-founder Franklin Huang, MD, PhD, an instructor at the Dana-Farber Cancer Institute, are working with the National Cancer Institute on ways to bring multidisciplinary teams together to solve complex challenges involving cancer treatment and care. 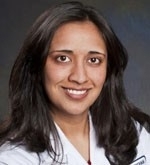 While there are many dedicated scientists and caregivers doing innovative work in cancer in poor parts of the world, there’s been no single place where they could share knowledge or reference the work of their colleagues, she said. The cancer map is a first step in this process. Bhatt and Huang unveiled the map March 25 at the Symposium on Global Cancer Research in Boston. “We have the ambitious goal of providing access to every cancer research, care and outreach program in the world through the map,” Huang said. A collaboration with the National Cancer Institute, the map was developed by GO volunteers, who are scientists, policymakers, public health experts, lawyers and other highly skilled individuals. It covers a wide range of projects, from prevention and screening to clinical programs and palliative care. For instance, it includes a project in Turkey to improve diagnostic accuracy of mammograms; development of an early screening test for gastric cancer in Mexico; and the use of supplements to prevent arsenic-induced skin cancer in Bangladesh.